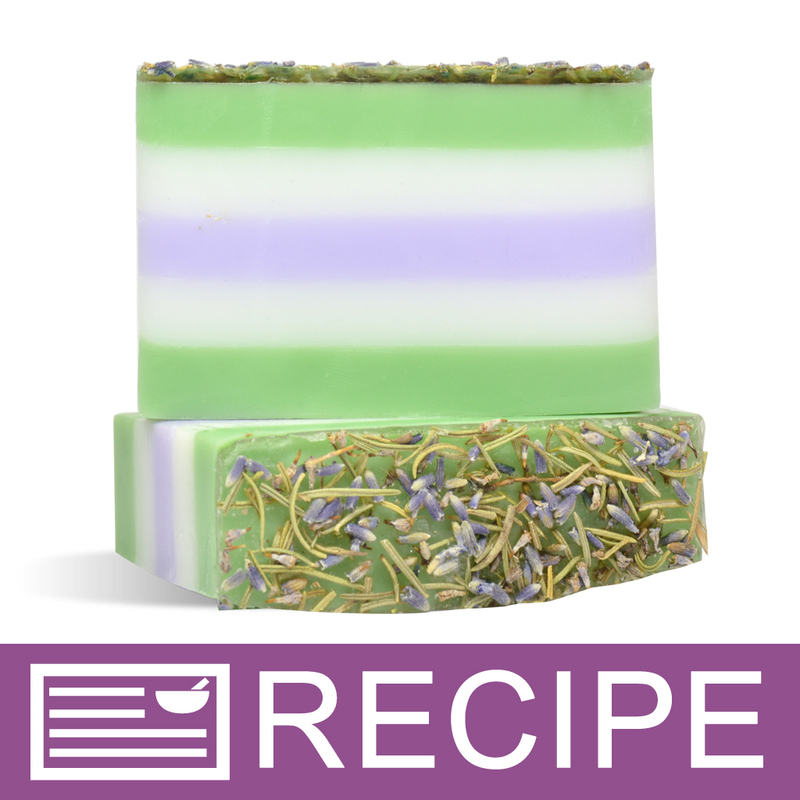 Customers will love this striped rosemary and lavender glycerin soap bar. Green, white and purple layers complement the essential oils, and a sprinkling of lavender buds decorates the top. We love this product in the summer, but it can be sold all year round. You Save $10.48 by purchasing this kit rather than buying the items separately.